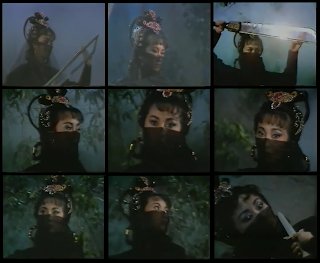 Legend of Cricket Wing Sword 蟬翼傳奇 is a Taiwanese TV program talking about a fatal weapon called Cricket Wing Sword. The weapon's user is a masked female assassin called Ms Cloud. Ms. Cloud was one of most beautiful woman in the story. She was originally assigned of assassinating bad guys according to Pluto's command but she started to kill others for revenge of her lover. At last she sacrificed herself for atonement.